The world is your playground. And with the Virgin Holidays Spring Sale, you can play more and spend a lot less. So go on, treat yourself. Ah, the Caribbean. Mere mention of the name conjures up visions of postcard-perfect beaches, crystal-clear ocean… and a sun lounger with your name on it. Whether your island paradise is rustic and remote or chic and cosmopolitan, you can dive in with the Virgin Holidays Spring Sale. Whether it’s New York for shopping and a show, the West Coast for some best-ever memories, or hitting the fresh powder for first tracks in Canada, the USA and Canada is your playground for a truly spectacular holiday. This awesome city of skyscrapers and unbeatable shopping is like stepping into your favourite movie. Vegas has everything from themed shopping malls to quirky boutiques to get you your shopping fix. More than just amazing theme parks — Orlando is home to some incredible shopping outlets too. LA is a sprawling metropolis of A-list haunts, people watching and boutique shopping. Ideal for a quick trip across the pond for a spot of shopping and sightseeing. Leafy Georgetown and Dupont Circle are hotspots for luxury boutiques. Vancouver, aka ‘Van City’ combines the outdoor life with a vibrant city. A trip to Toronto will satisfy all interests, whether they are cultural, recreational, or culinary. With so much choice, you'd be forgiven for not being able to decide where to go, but there is a solution... visit more than one destination! Las Vegas and Orlando? Or New York and Miami? 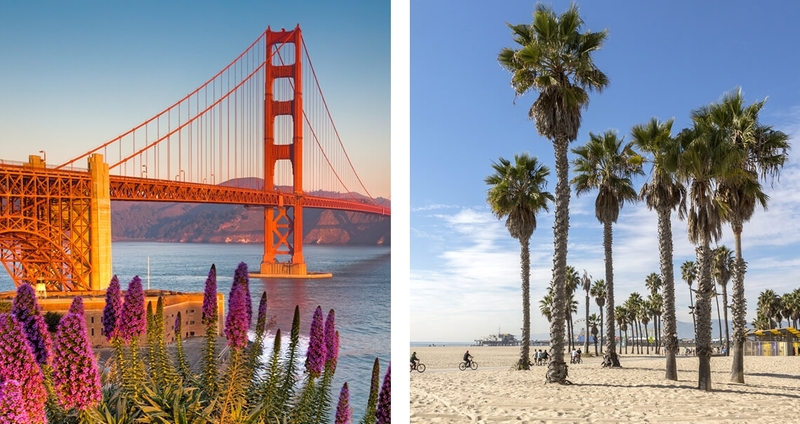 The possibilities in the USA are endless, so extend that weekend break into a well-deserved holiday and add in some extra days chill time inbetween the retail therapy. Take a look at all of our multi-destination itineraries for some more inspiration.